There was a short queue of a few people when I came here for lunch on a rainy Wednesday. It is a coffee shop at the block just opposite Toa Payoh Vista Food Centre. I was looking for the stall serving Hakka Noodle as posted by a friend on Facebook. There are 2 stalls under the same name and manned by an elderly Auntie all by herself. One of the stalls is serving Hakka Yong Tau Fu, the Yong Tau Fu set is at $3.00 which consists of 5 pieces of Yong Tau Fu items with noodles and every additional piece is priced at 0.50 cents, there is a choice of dry or soup version with an option for Curry Laksa Yong Tau Fu at $3.50. 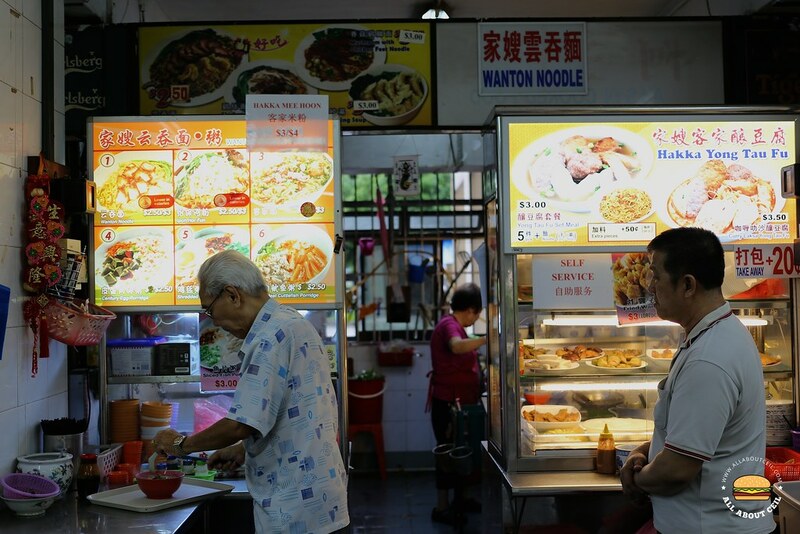 The other stall is serving Wanton Noodle ($2.50/$3), Ipoh Hor Fun ($2.50/$3), Homemade Hakka Noodle ($3), Century Egg Porridge ($2.50), Shredded Chicken Porridge ($2.50) and Lean Meat Cuttlefish Porridge ($2.50). The queue was at the Yong Tau Fu stall and I did not know whether I should join in so I just stood there and waited. The Auntie spotted me and she asked, "What do you want, Miss?". I pointed at the Hakka Noodle on the picture and said, "Hakka Noodle." She did not ask me whether I want the dry or soup version. The picture showed the soup version but I remember seeing the picture posted by my friend was the dry one. I just stood there and waited. The other 2 customers have collected their orders then the Auntie placed a bowl of soup noodle on the tray and called out to me, "Miss, your order is ready." I collected it and went to one of the tables along the walkway and seated down. 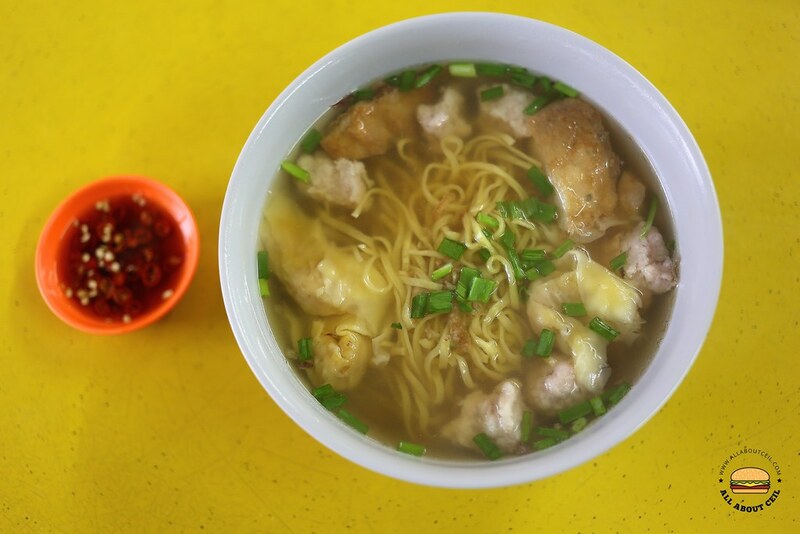 It was raining rather heavily at that time so the soup Hakka Noodle is a better option. 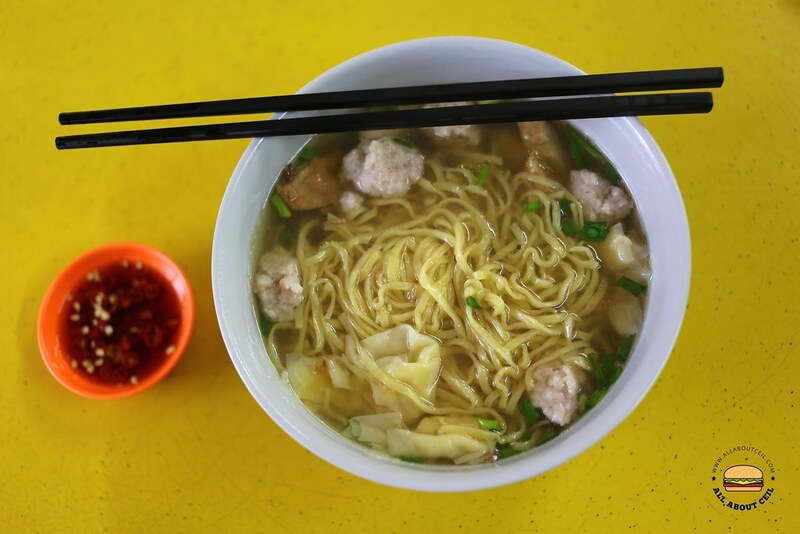 It consists of a good portion of noodles with ingredients like fried beancurd, skin, handmade meatballs and meat wantons. The noodles were nicely cooked and served with a lightly flavoured hot soup. It was a comforting choice and I would definitely go back for their dry one soon. This stall might be moving to the Toa Payoh Vista Food Centre and is in the midst of getting the approval, it is likely to happen in May or early June.